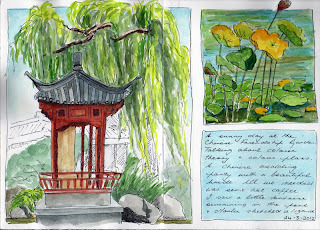 Week 5 of my Keeping a Sketchbook course was at the Chinese Friendship Garden. A beautiful sunny but breezy day to be outside. 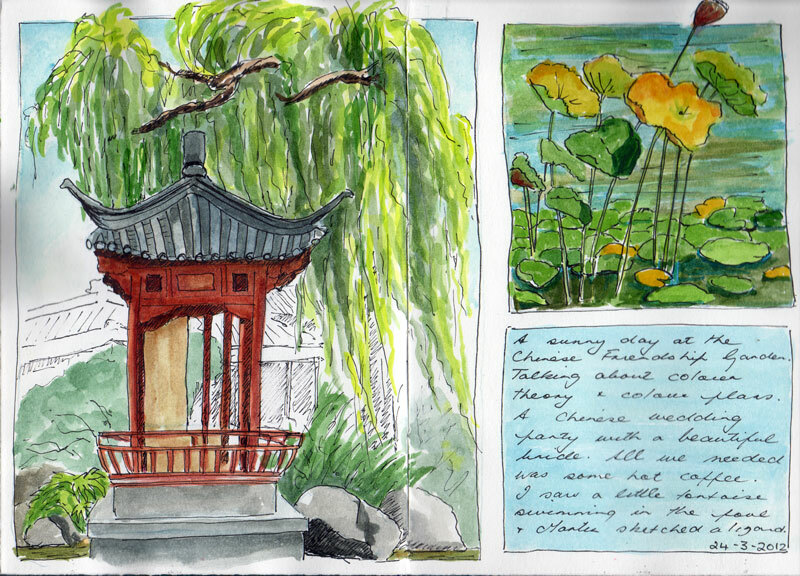 We sat in a little pavilion and talked about colour theory and colour plans before putting it all into practice. I deliberately drew this small pavilion in one-point perspective, as I was drawing together with one of the participants in the course who had a special interest in learning to draw buildings.